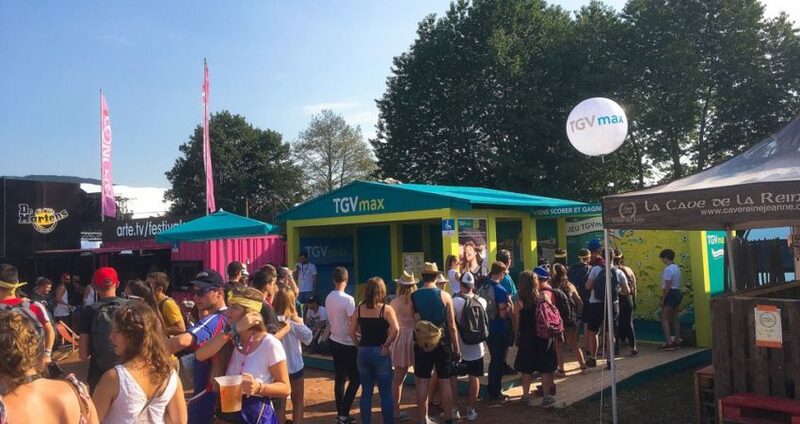 In order to seduce a changing public anew, and boost TGV MAX by SNCF offerings, Moma Event has totally rethought the Beach House concept and turned it into an attractive stand for music festivals. 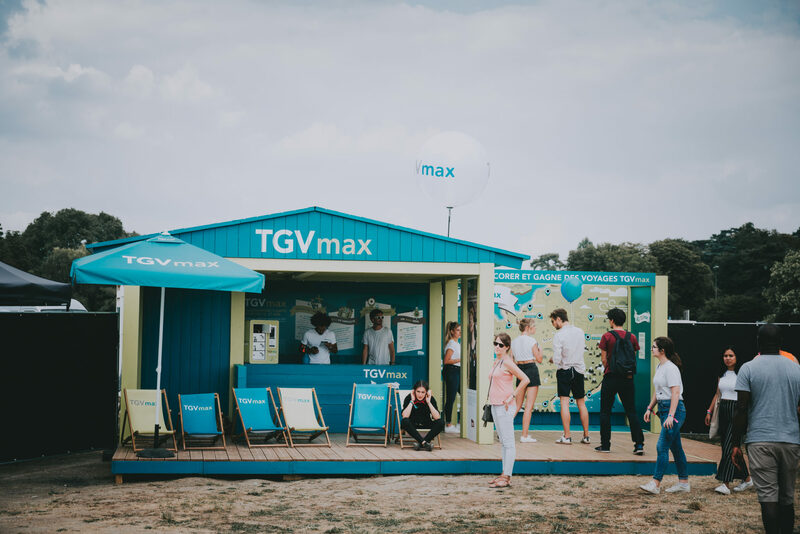 The Beach House TGV Max brings both changes of scenary and experiences, as well as a Millenial in festivals oriented brand speech. 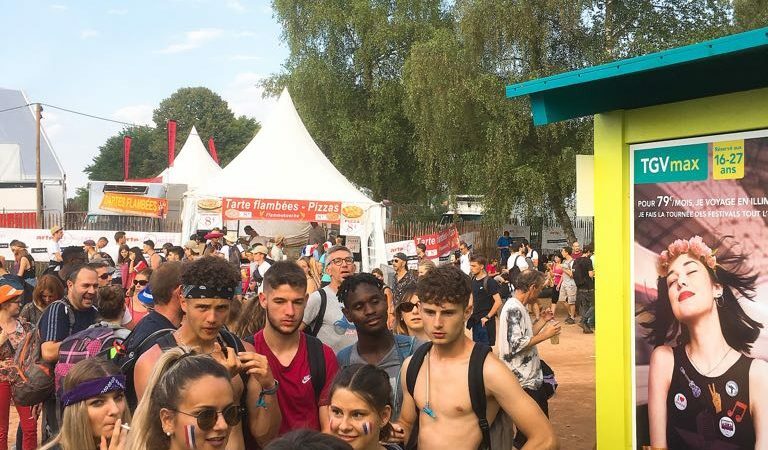 Elaborated for attending several festivals over 3 running years, the TGV Max Stand first visited Eurockeans Festival in Belfort 2018, followed by Francofolies at La Rochelle, and closing at Lollapalooza Paris. 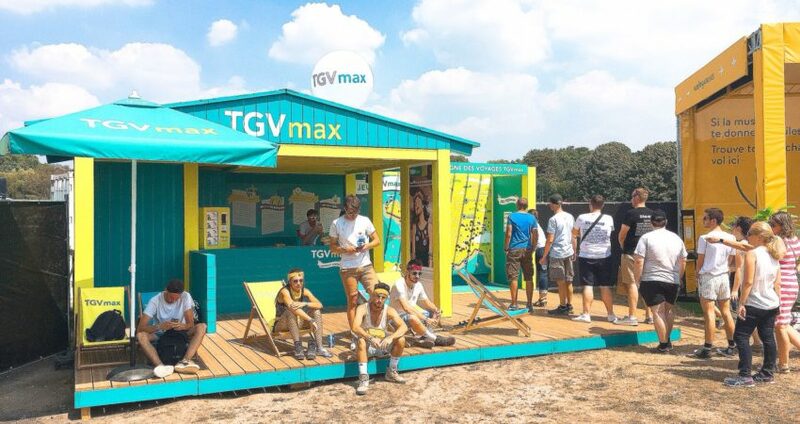 A great many animations were displayed on the stand as to captivate public’s interest and create a true living space. 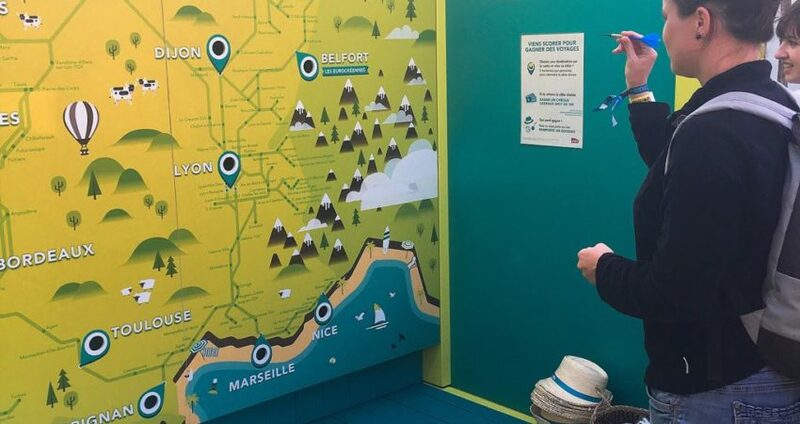 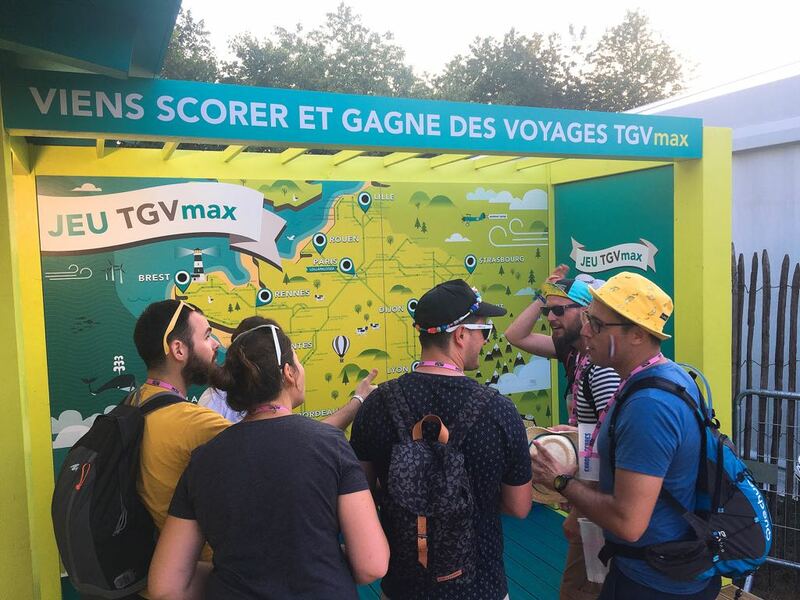 Between darts, summer selfies, charging booth and the bar of offers, the festivaliers enjoyed a playful interactive itinerary to discover the TGV Max offer.